Delhi Jantar Mantar is located on Sansad Marg in Connaught Place, New Delhi. There are five Jantar Mantar located in India in Jaipur, Delhi, Ujjain, Varanasi and Mathura. 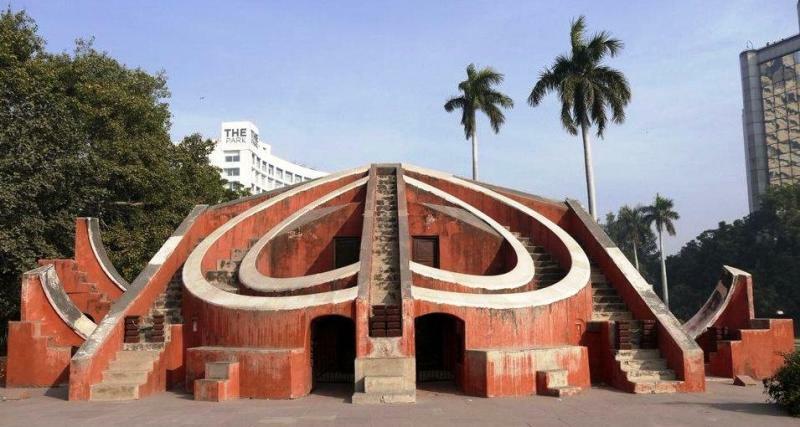 Jantar Mantar Delhi was built by Maharaja Jai Singh II in 1724 to calculate the astronomical data. There are three main observatory instruments in Jantar Mantar Delhi. Name of instruments are Samrat Yantra, Jayaprakash Yantra, and Misra Yantra. These are used in measurements of time, date and years. Nowadays accurate calculation is not possible due to high rise buildings in the vicinity. Nowadays it is also used mostly for political protests and Dharnas. Jantar Mantar opens on all the days of week from Sunrise to Sunset (6 AM to 6 PM). There is no closing day or week off for Jantar Mantar. It normally opens at 6 AM in the morning and closes at 6 PM in the evening depends on the sunset time. 30 minutes to 45 minutes are sufficient to visit the entire Jantar Mantar complex. 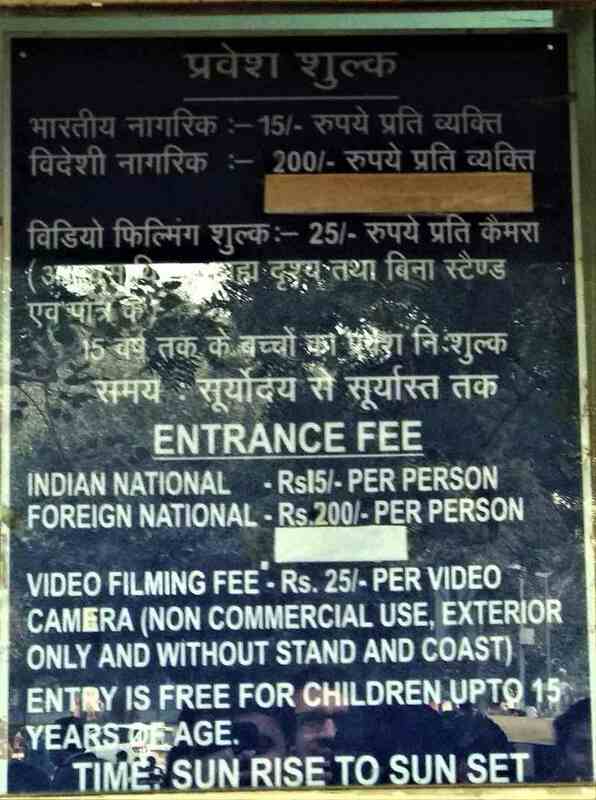 Indian National has to pay 15 Rs for the entry in Delhi Jantar Mantar and foreigners have to pay purchase 150 Rs ticket for the entry. Digital camera can be taken inside the complex without paying any extra fee and for video camera visitors have to pay 25 Rs. 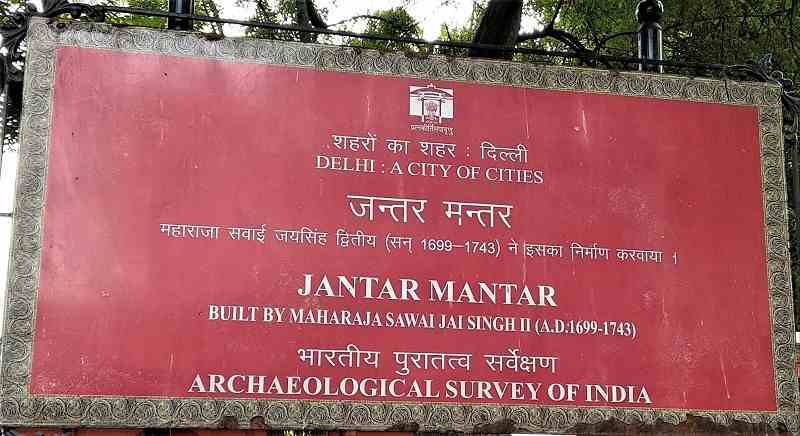 Jantar Mantar is located on Parliament Street, Janpath (CP). Nearest metro station are Rajiv Chowk, Patel Chowk and Janpath Metro Station. All three stations are located just 1 KM away from the Jantar Mantar. New Delhi Railway Station is around 2.5 KM away from here. Indira Gandhi International Airport is 20 KM away from Jantar Mantar. Visitors can reach here via city bus. Palika Kendra bus stand is located just outside the Jantar Mantar entry gate. It is located in the heart of Delhi and close to the VIP area, making it a hot tourist destination. Summers are very hot in Delhi and temperature can shoot up to 45 degree Celsius, so it is advisable to avoid the summer afternoons. 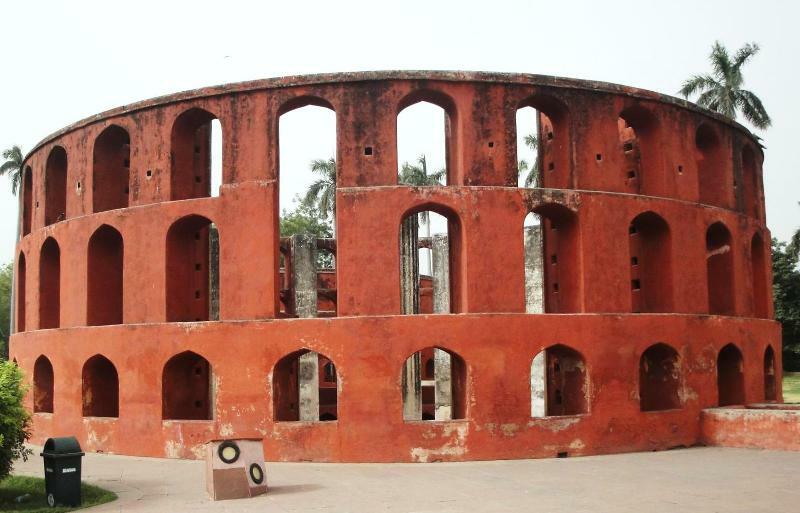 Winters are considered as a good time to visit Jantar Mantar. Parking facility is available here, however, public transport is recommended if you want to avoid the heavy Jam especially on weekends and evening time. It is a good place for photo maniacs, wanderers and who have good interest in science, technology and astronomy. It is a nice place to visit and travelers will love the place and astronomical instruments specially sun dial clock. 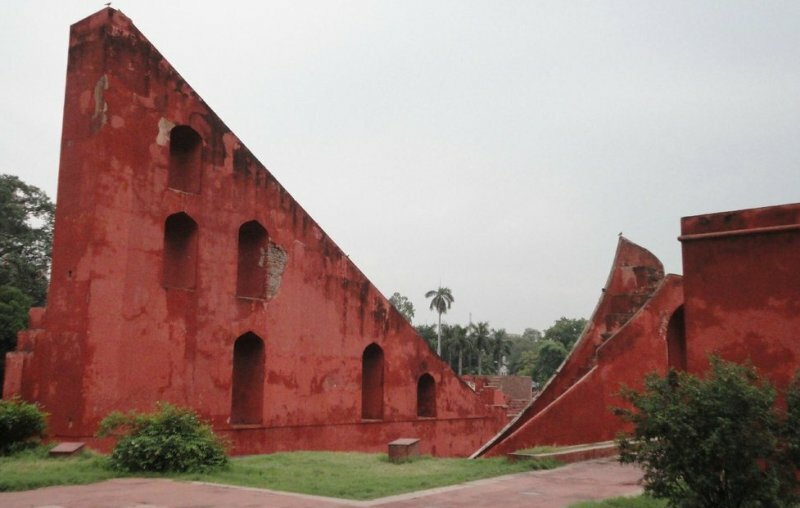 If you are planning to visit Jantar Mantar, you should include some more tourist places near the Jantar Mantar which are on walking distance. These places are Agrasen ki Baoli, Newly opened Charkha Museum, Gurudwara Bangla Sahib, Prachin Hanuman Mandir and Central Park of Rajiv chowk. India Gate, Purana Qila, Delhi Zoo, are also located near to the Jantar Mantar.